In 1906, fifteen-year old Elizabeth Gurley Flynn mounted a soapbox in Times Square to denounce capitalism and proclaim a new era for women's freedom. Quickly recognized as an outstanding public speaker and formidable organizer, she devoted her life to creating a socialist America, "free from poverty, exploitation, greed and injustice." 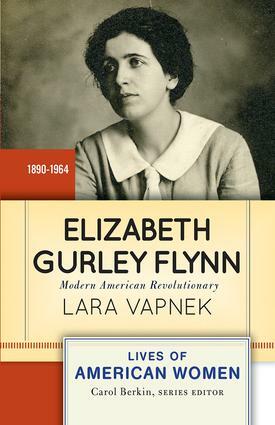 Flynn became the most important female leader of the Industrial Workers of the World and of the American Communist Party, fighting tirelessly for workers' rights to organize and to express dissenting ideas. Weaving together Flynn's personal and political life, this biography reveals previously unrecognized connections between feminism, socialism, free love, and free speech. Flynn's remarkable career casts new light on the long and varied history of radicalism in the United States. About the Lives of American Women series: Selected and edited by renowned women's historian Carol Berkin, these brief biographies are designed for use in undergraduate courses. Rather than a comprehensive approach, each biography focuses instead on a particular aspect of a woman's life that is emblematic of her time, or which made her a pivotal figure in the era. The emphasis is on a 'good read', featuring accessible writing and compelling narratives, without sacrificing sound scholarship and academic integrity. Primary sources at the end of each biography reveal the subject's perspective in her own words. Study questions and an annotated bibliography support the student reader.